Following on from the news we brought you yesterday of COLD SKIN's release (CLICK HERE) we can now share an exclusive clip from the film. The clip titled “Midnight Attack.” shows Gruner (Stevenson) and a young weather observer (Oakes) fighting for survival, on a remote island. A lighthouse provides some shelter. But, everyone is in jeopardy when an army of sea monsters emerge, from the coastline. Horror and thriller fans can see COLD SKIN on Digital platforms or in theatres from 7th September 2018. 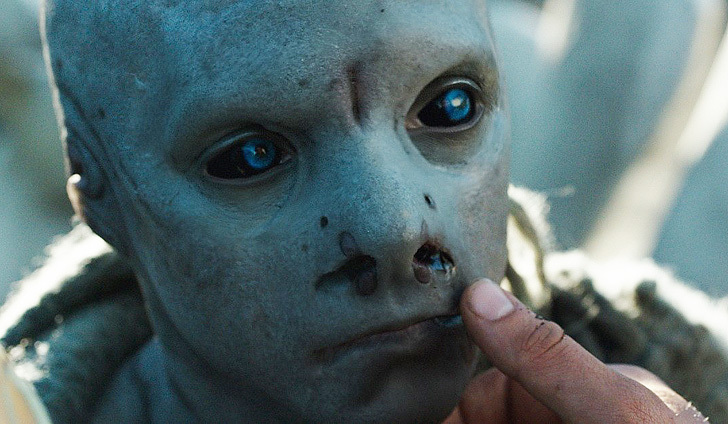 Signature Entertainment have released COLD SKIN in the UK and is available on DVD and Amazon Prime.